The leading contenders in the elections of 1967 were the PCN, the PDC, and the PAR. The PCN's candidate was Rivera's interior minister, Colonel Fidel Sanchez Hernandez. The PDC nominated Abraham Rodriguez, who proved to be a lackluster campaigner. The PAR had undergone an internal dispute that led its more conservative members to bolt and form a new party, the Salvadoran Popular Party (Partido Popular Salvadoreno—PPS). The PPS chose as its candidate a retired army major, Alvaro Martinez. The remaining leftist members of the PAR nominated Fabio Castillo, who had served on the 1960 junta. By the standards of the Salvadoran right, Castillo was a communist. The 1972 elections took place in an uneasy political atmosphere. The 1970 election of socialist Salvador Allende Gossens as president of Chile had resurrected anxieties over communist gains in Latin America. This concern was shared not only by the political right and the military but also by the majority of Christian Democrats. 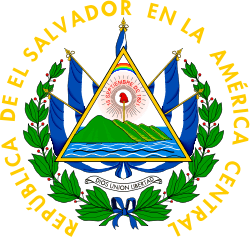 In El Salvador, organizational efforts by leftist parties such as the PCES and by activist Roman Catholic clergy were viewed with alarm by conservative sectors. The fears of the economic elite in particular were provoked by the 1971 kidnapping and murder of Ernesto Regalado Duenas, the son of a prominent family, by a leftist terrorist organization calling itself "the Group". A protracted teachers' strike in 1971 only added to the unsettled climate prevailing in the country. The PDC opted to participate in the elections as the leading party of a coalition designated the United National Opposition (Union Nacional Oppositora—UNO). The other members of the coalition were smaller and more radical than the PDC. The National Revolutionary Movement (Movimiento Nacional Revolucionario—MNR) was originally a social democratic party. The MNR was pushed further to the left, however, as former PAR supporters joined its ranks after their party was legally proscribed in 1967. The National Democratic Union (Union Democratica Nacional—UDN) was an even smaller grouping that had once described itself as the party of the noncommunist left in El Salvador. By this time, however, the UDN had been infiltrated by the PCES and was functioning as a communist front group. Despite the leftist leanings of the MNR and UDN and the lingering effect of the agrarian reform congress, the UNO platform was moderate in tone, calling for measured reform, respect for private property, and the protection of private investment. As expected, Duarte was tapped as the presidential candidate. He in turn chose the MNR's Guillermo Ungo as his running mate. In 1969 the initial split took place between the followers of party leader Salvador Cayetano Carpio ("Marcial"), a Maoist advocate of a revolutionary "prolonged popular war" strategy for achieving power, and those of Schafik Handal, who held to the prevailing Moscow-line strategy of electoral participation. By the end of the 1970s, however, political violence and instability had increased markedly, strengthening the position of those who advocated a violent path to power. The success of the 1979 Nicaraguan revolution led by the Marxist Sandinista National Liberation Front (Frente Sandinista de Liberacion Nacional—FSLN) apparently served to alter the thinking of policymakers in the Soviet Union, leading them to endorse the strategy of "armed struggle" long advocated by Cuba. By the end of the decade, no less than five Marxist guerrilla groups, including one directly affiliated with the PCES, were recruiting members for military and terrorist action against the government. He was opposed by the official PCN candidate, General Carlos Humberto Romero. Once again, electoral fraud was clumsy and poorly disguised. Claramount, his running mate José Antonio Morales Ehrlich, and a crowd of thousands gathered in the Plaza Libertad in San Salvador to protest Romero's election. Their assembly was the occasion for the February 1977 attack that left as many as fifty protesters dead. As he was taken from the scene in a Red Cross ambulance, Claramount declared, "This is not the end. It is only the beginning."